Interesting Facts about The Dead Sea Scrolls.. The Dead Sea Scrolls are searched for..
Validates every book and chapter of the Bible are complete through numeric cryptographic type verification. There are no missing manuscripts or text in the Bible – Validation text such as the middle chapter of the Bible confirm this – This one of thousands of examples – Psalm 117 is supernaturally placed as the 595th and exact middle chapter of the Bible and is also the shortest and only two verse Bible chapter declaring “Praise the Lord” in both verses. Of 1189 total Bible chapters is highly unlikely this unique chapter coincidentally found itself as the center point of all chapters. 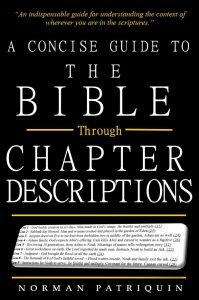 See more notes about how this chapter contains code-like information that precisely points to the division of Old and New Testaments. More information in Bible Facts Page. Perfection is confirmed by how themes of the Bible’s text fits the themes for every verse number. Establishing the age of biblical books–Since we can totally trust the text of the Bible we can then trust what it says about the authorship of it’s books and can often determine their age by other historical documents referring to the writers. Establishing the order of biblical books–By realizing the perfection of things such as cross bible verse numbering we can be sure every book is in the order intended by God. For example, by confirming Matthew 24:42 is the 24,000th verse we can conclude all books, chapters and verses prior to this point in the text are all complete. All books before matthew must be present with none added for the accuracy of Matthew 24. Validating accuracy of our current biblical texts–The many evidences of accuracy include the center chapter of the Bible which is both the shortest and only two-verse chapter. This evidence demonstrates all the books and chapters before and after Psalms 117 are complete and in their contents. The 31 sets of 1000 verse sections each validate the Bible at each of each of these division points. 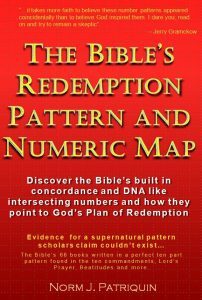 Connecting Jesus Christ with Old Testament texts–The Bible is complete as one single volume with the pattern and number consistency being perfect from one end to the other proving one single supernatural author of both books. Along with many number evidences revealing direct references to Jesus in the Old Testament, we also see the entire story of Jesus Christ filling the complete Bible from one end to the other. Connecting Old Testament texts with New Testaments–(see #3) The Bible is one book with a single author. Searching for missing texts–Proofs such as the center chapter of the bible are strong evidence the Bible is complete. If any texts were added to the first or second half of the bible they would both need to fit the patterns on both sides and be of the same size in number of chapters and verses. Understanding the culture at the time–The accuracy of Biblical text lets us fully trust what the Word of God says about history and the peoples mentioned.